I have been meaning to post about the birthday gifties Tina gave me. 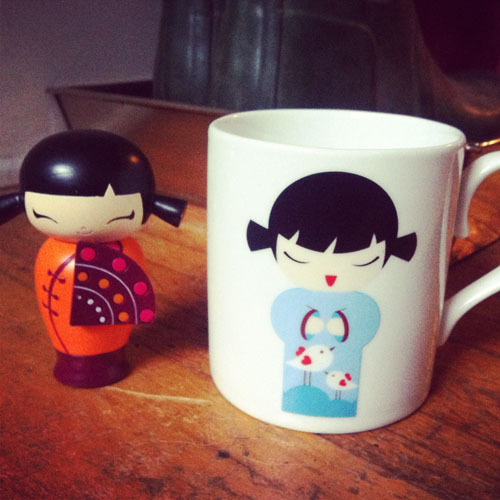 A momiji doll and mug! I have been eyeballing these momiji dolls for ages. You can hide a little message inside the doll. The cute mug was a bonus! I received "Mama Giggles" when I was preggo with my son and received "My Girl" for our anniversary this year. They hang out on my kitchen windowsill. I started a momiji collection this year. I get one everytime i go to new york city as a token.